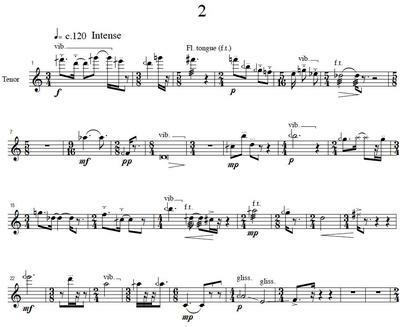 5 Quarter-Tone Pieces (1997) are advanced solo pieces written for Alto and Tenor recorders. Numbers 1 and 3 have been performed several times by Rachel Barnes, who premiered both at the British Music Information Centre. They are intended as a full and comprehensive example of fully structured quarter-tone writing for the recorder and, as such, follow on from the publication 'The Quarter-Tone Recorder Manual' (Moeck publications). 18pp. Duration 18 mins. What do you want to know about Five Quarter-Tone Pieces?